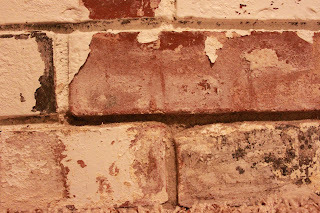 Today, I will share with you my biggest home frustration: my chimney. 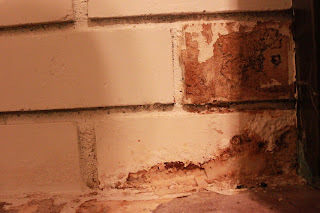 As you can see, my chimney was painted white... put due to a slow water leak, the paint, inside of the chimney, and surrounding flooring was destroyed. Can I tell you how sad this made me? Well, now we have fixed the leak (Lord willing), and are in the process of replacing the flooring. However, I really do not know what color to repaint the pealing chimney. 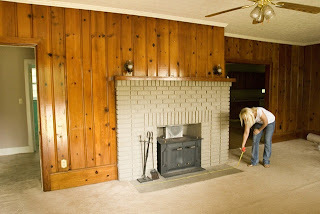 It will really take way too long to strip the fireplace. Plus, this room has like zero natural light (sad face.... you do not know how much I love windows). I really would love to paint it a pretty blue or gray, but really cannot trust my judgment. Every decision I have made for this house stylistically has just not worked. I turn to you, readers. What color should I paint it. 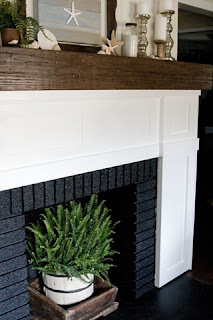 Do you have ideas or pictures of pretty fireplaces? 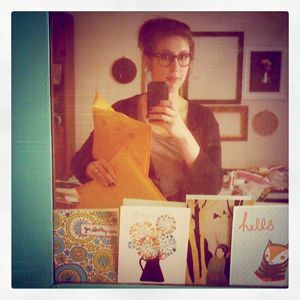 Please email them to me at gingiberdesign (at) gmail (dot) com. 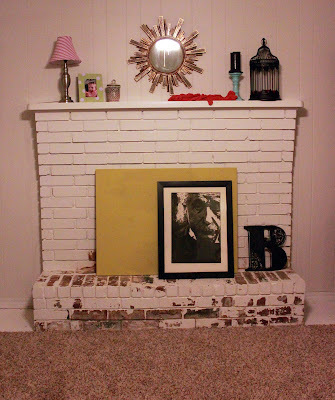 Reader Allison sent me a link to blog "The Lettered Cottage" for this DIY that I absolutely love! What do you think? I am really tempted to try this one out!